The Jefferson County Farmers Market Association operates the Port Townsend and Chimacum Farmers Markets. We provide vibrant direct-to-consumer market places that incubate some 80 small farm, artisan food and arts businesses from Jefferson and neighboring counties. Our farmers markets bring our community together in celebration of local food. This year we are excited about providing you amazing farm-direct and artisan food as well as local crafts, live music, chef demonstrations, weekly kids’ activities, and special events. In 2018, we provided 500+ households with low incomes over $14,600 in food assistance matching dollars for farm-fresh food. As a result, market shoppers using Supplemental Nutrition Assistance Program (SNAP/EBT, formerly Food Stamps) and Women Infants and Children (WIC) as well as Senior Farmers Market Nutrition Program (FMNP) vouchers brought home more than $40,000 in health food from local farms and food artisans last year. This number combines federal food assistance benefits and matching funds redeemed at the Port Townsend and Chimacum Farmers Markets. In partnership with Jefferson Healthcare, Jefferson County Public Health and the Food Co-op, JCFM also trialed a fruit and vegetable prescription (VegRx) program last season. VegRx empowers Jefferson Healthcare clinicians to address hunger in our community by offering 12-month prescriptions for fresh produce. These are redeemable at the Port Townsend and Chimacum Farmers Markets, as well as at the Food Co-op during the market off-season. Funds raised through the Food Co-op Beans for Bags program will go directly towards providing matching dollars and VegRx to community members experiencing food insecurity. With your beans, we will continue to make farm-fresh food accessible people with low incomes while also supporting local farms and jobs. It is only with community support that we are able to help people of all income levels access the most nutrition dense foods available. 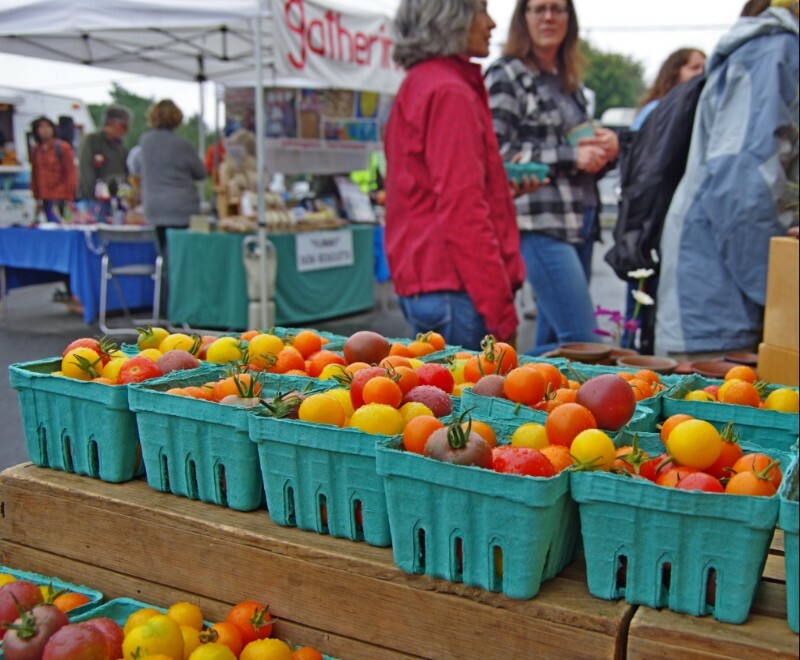 We have so much going on at the Port Townsend and Chimacum Farmers Markets this season! Please join us for opening day of the Port Townsend Farmers Market on Saturday, April 6th from 9am-2pm on Tyler St. Learn more and keep updated about our markets and events on our website and by signing up for our e-newsletter: jcfmarkets.org. Sign up for the newsletter from the homepage.